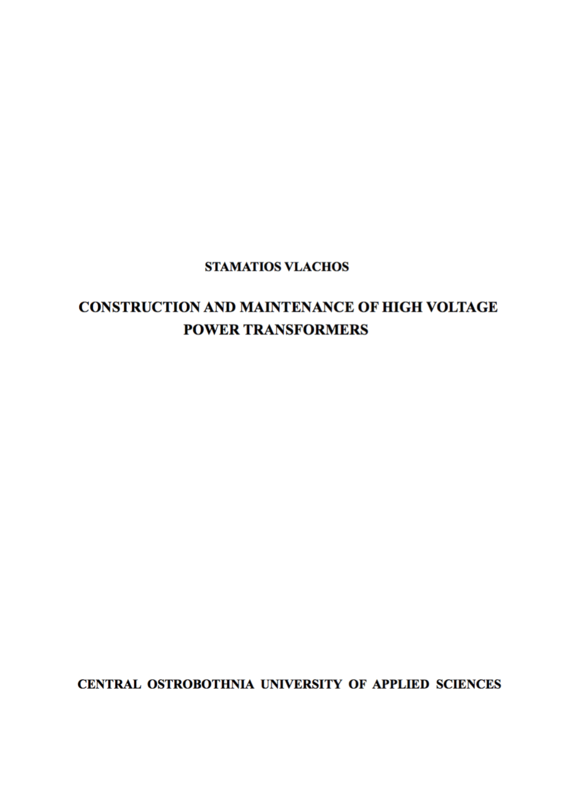 The main purpose of this research is to gather in one paper information about construction and maintenance of high voltage power transformers. There are included informations about condition monitoring techniques, maintenance techniques and also information about the degradation processes that happened in oil paper insulated transformers. An ideal transformer would have no energy losses, and would be 100% efficient. In practical transformers energy is dissipated in the windings, core, and surrounding structures. Larger transformers are generally more efficient, and those rated for electricity distribution usually perform better than 98%. Experimental transformers using superconducting windings achieving efficiencies of 99.85%. 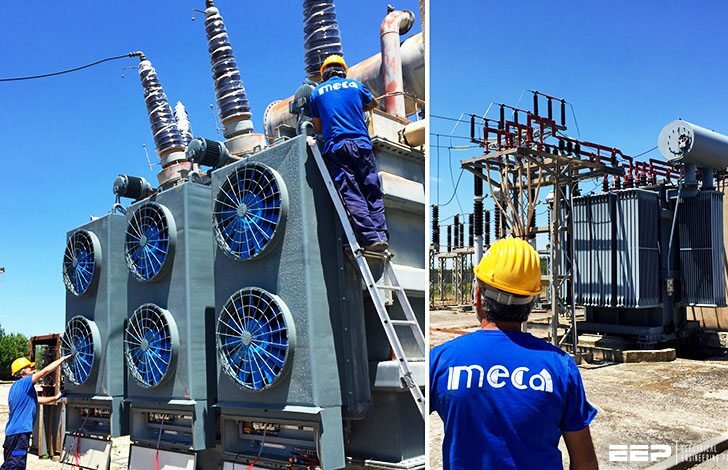 While the increase in efficiency is small, when applied to large heavily-loaded transformers the annual savings in energy losses is significant. A small transformer, such as a plug-in “wall-wart” or power adapter type used for low-power consumer electronics, may be no more than 85% efficient, with considerable loss even when not supplying any load. Though individual power loss is small, the aggregate losses from the very large number of such devices is coming under increased scrutiny. The losses vary with load current, and may be expressed as “no-load” or “full-load” loss. Winding resistance dominates load losses, whereas hysteresis and eddy currents losses contribute to over 99% of the no-load loss. The no-load loss can be significant, meaning that even an idle transformer constitutes a drain on an electrical supply, which encourages development of low-loss transformers. Ferromagnetic materials are also good conductors, and a solid core made from such a material also constitutes a single short-circuited turn throughout its entire length. Eddy currents therefore circulate within the core in a plane normal to the flux, and are responsible for resistive heating of the core material. The eddy current loss is a complex function of the square of supply frequency and inverse square of the material thickness. Magnetic flux in a ferromagnetic material, such as the core, causes it to physically expand and contract slightly with each cycle of the magnetic field, an effect known as magnetostriction . This produces the buzzing sound commonly associated with transformers, and in turn causes losses due to frictional heating in susceptible cores. Leakage inductance is by itself lossless, since energy supplied to its magnetic fields is returned to the supply with the next half-cycle. However, any leakage flux that intercepts nearby conductive materials such as the transformer’s support structure will give rise to eddy currents and be converted to heat.